I have mixed feelings on this book. The reasons for me are more personal than anything. This book should have a trigger warning for some. He came back to me 16 minutes and 59 seconds into Beethoven’s Symphony no. 7. We parted amid tragedy, so it seemed poetic. Dylan O’Dea, my childhood sweetheart, once meant everything to me. Now we were strangers, and honestly, after 11 years I never thought I’d see him again. I lived in the world of the average, of getting paid by the hour and budgeting to make ends meet. But Dylan, he lived in the world of wealth and success. He’d achieved the great things I always suspected he would. The dissatisfaction he’d felt as a teenager had obviously been an excellent motivator. the perfect ending to the series. I would of been so upset if it went any other way. 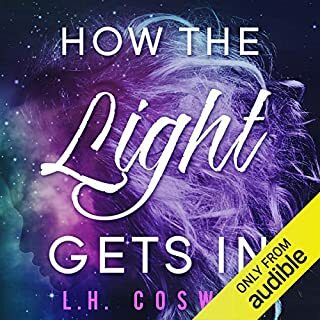 I loved this book it has it all; love, laughs, angst, sexiness and that moment of clarity when one realizes they are worthy..
Lincoln is convinced he is not worthy of love and happiness. as that is what he has been told since a young age but through out the book you cant help but love him. He is the most loving giving and forgiving man. Most of all he loves Adley the forbidden fruit his friends sister. But his insecurities may just ruin that. As always Wen and Kai killllllled it ALL HAIL THE NARRATOR GOD AND GODDESS. the only thing I feel was missing is I wanted more of the background of Adley and Lincoln. I was a city girl with humble dreams. Then Dylan O’Dea broke into my flat, held me against the wall, and told me to stay quiet. It was like in the movies, where the universe zeros in on a single scene. I looked into his eyes and knew he was going to change me. For Dylan, the sky was always falling. He showed me how our world is a contradiction of beauty and ugliness. How we choose to ignore the awful and gloss over it with the palatable. How you need just a tiny drop of something unsavoury to create every great scent. Evie and Dylans love is sweet and everything a young girl wishes for. If only life always could be a fairytale and everyone get HEA. 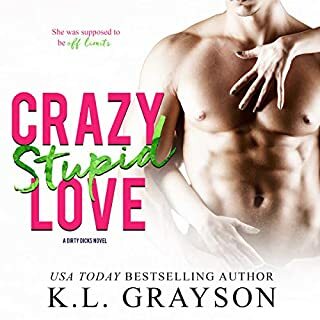 this book left my heart broke, you ant help but cheer for Evie and Dylan and plan their future as you follow them on their journey of puppy love. But life always must test people and shake the foundation you spend so long building. I have been team Ella and Reed from the first book. through all the drama and up and downs I feel it was a great ending. I am just sad that Ell had to be betrayed and hurt again by a man who is suppose to live her. this book was a bit surprising to me. 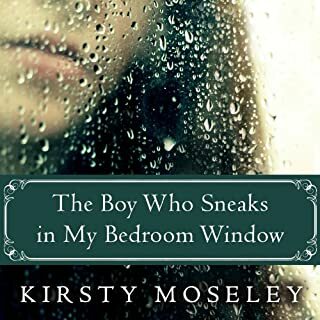 It's one of those books that tugs at your heart strings you want to reach through and either hug or slap Madison who is so use to be mistreated she does not see the good in front of her. Ryder renews your faith in men and their willingness to step up. Zombies stalk the night. Forget blood and brains. These monsters hunger for human souls. Sadly, they've got mine. Alice Bell has lost so much. Family. Friends. A home. She thought she had nothing else to give. She was wrong. After a new zombie attack, strange things begin to happen to her. Mirrors come to life, and the whispers of the dead assault her ears. But the worst? 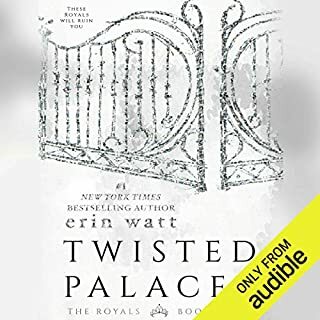 I am in love with this series and never ever want it to end. 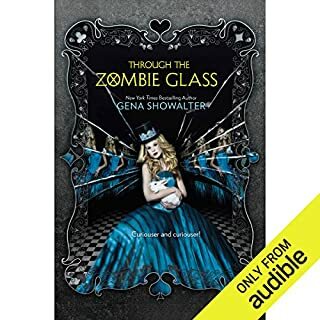 I did not know what to expect when I chose this book but I love zombies and who doesn't love Alice In Wonderland. Whispers of the Locke brothers fill the town, facts and reality twisted to fit what these motherf--kers believe they know about us. That we’re sadistic bastards, incapable of any real emotions or fear. Maybe they’re not wrong about that. That is, until I set my sights on Kadence King, getting just as drawn to her as I am the darkness. It’s the first time I’ve felt anything in a long time. But would she really be scared knowing the depth, the lengths I go with my brothers to make any f--ker who crosses us pay? 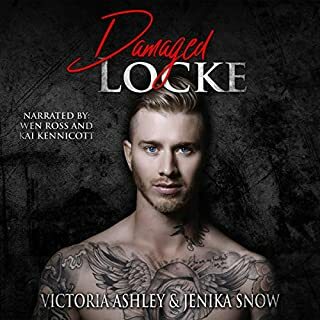 I love this book and need more of the Locke boys ASAP. 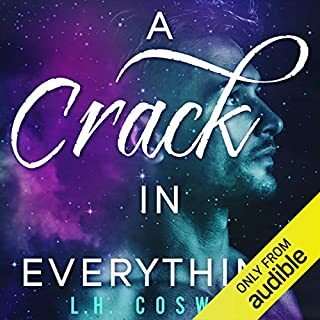 As usually Een and Kai hit it out of the park reminding me why they are my favorite narrators. The Locke brothers are the boys your parents warn you about but also the same boys they would call when they need stuff handled. In the stunning conclusion to the wildly popular White Rabbit Chronicles, Alice "Ali" Bell thinks the worst is behind her. 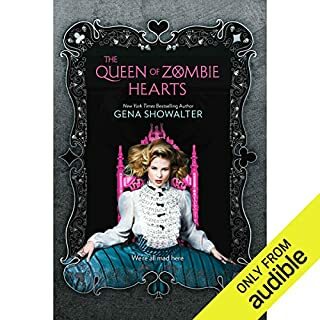 She's ready to take the next step with boyfriend Cole Holland, the leader of the zombie slayers... until Anima Industries, the agency controlling the zombies, launches a sneak attack, killing four of her friends. It's then she realizes that humans can be more dangerous than monsters... and the worst has only begun. Miss Bell is amazing she continuously gets knocked down and loses ones she loves but she continues to fight for what she believes in and those she loves at the cost of her own life at times.